On the evening of 8 June 1946 King Rama VIII Ananda Mahidol, the 20-year-old monarch of Siam, called the court physician, complaining of feeling unwell. He had spent most of his life in Switzerland and found the heat and humidity of what is now Thailand oppressing. The doctor prescribed sleeping pills and castor oil. 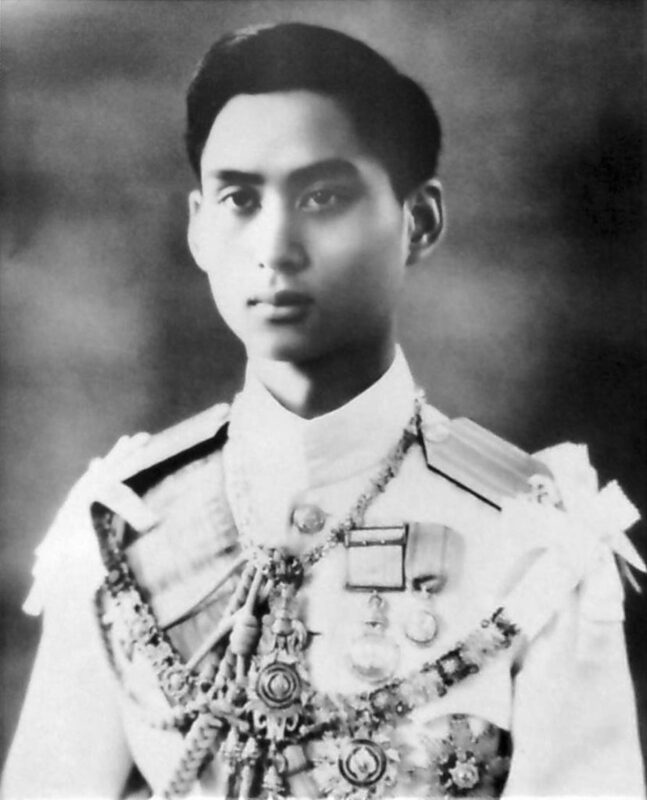 At 6am Princess Mahidol, his mother, woke the king and brought him water, milk and brandy to wash down the castor oil. He felt much better and at 8.30am a page, But Pathamasarin, gave the monarch a newspaper and some orange juice. His other page, Chit Singhaseni, was off duty. The king returned to bed. At 9am the king’s brother Prince Bhoomipol visited but reported that the king was dozing. At 9.20am a shot was heard and the king’s mother, brother, nanny and doctor rushed to his bedroom to find him lying dead in bed, a bullet hole over his right eyebrow. The king’s Colt .45 was near his left hand. The first thought of those in the palace was suicide and Prime Minister Pridi announced that the death had been an accident. Prime Minister Pridi announced an enquiry into the king’s death but many believed that he had had a hand in the fatality. On 7 November 1947 he was deposed in a coup and fled to Singapore. The new regime named Pridi and Lieutenant Vacharachai as the prime suspects in what was now called a murder. Senator Chaleo Patoomros, the king’s secretary, and pages But Pathamasarin and Chit Singhaseni were arrested and charged with conspiracy to murder the king. Their trial opened on 28 September 1948 with all three pleading not guilty. The trial lasted until 9 May 1951. On 27 September the court delivered its verdict — the king had been assassinated. Chaleo Patoomros and But Pathamasarin were acquitted but Chit Singhaseni was found guilty of aiding the unknown assassin and sentenced to death. Chit appealed his sentence and the prosecution appealed the acquittals. The appeal court confirmed Chit’s sentence but also instituted guilty verdicts against the other two. At 4am on 17 February 1955 all three were strapped to crosses and machine gunned to death. Was the king murdered or did he commit suicide? The truth is still not known.